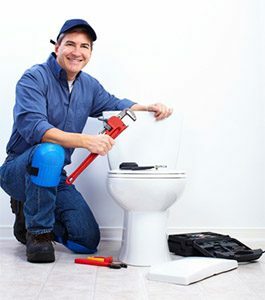 Do you need toilet repair in Benbrook, TX? Maybe your toilet has been a little bit broken for a long time, but you’ve never taken the time to repair it. Or maybe you’re afraid to call someone, worried that it will cost too much to repair your broken toilet. When you call Lightfoot, you are getting an expert Benbrook plumber who will understand that you don’t have an infinite amount of money. We will come out take a look at your toilet and get it repaired as soon – and as cheaply – as possible. We won’t try to sell you anything extra or perform repairs that you don’t need. We’ll get right to the point, figure out what is wrong, and get the toilet working again for you fast. Even if your toilet technically still works, it’s a good idea to pursue toilet repair in Benbrook, TX, anytime you notice a problem. Whether your toilet runs constantly or inconsistently, seems to dribble water all the time, occasionally doesn’t flush, or more, we can help you get everything back the way it needs to be. If you don’t do these easy repairs, they can become much bigger hassles later on! We can help you with any toilet repairs in Benbrook, TX that you need. We’ll help you with overflowing toilets, leaky toilets, toilets that won’t flush, toilets that won’t stop running, toilets that leak water onto your floor, and more. We are your expert plumbers and we are here to make your life better!